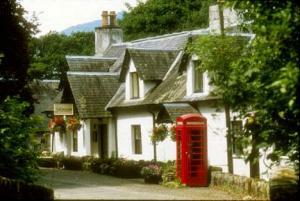 Choose from 14 hotels and guest houses in Stirling. Shown below a just a selection of the hotels available. To search within an area please use the menu on the right. 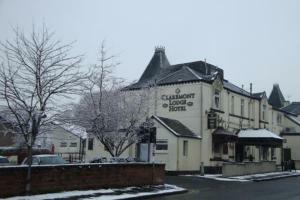 In the heart of Stirling, this 4-star luxury hotel's historic Georgian fa?ade houses a superb restaurant and stylish, contemporary accommodation with wireless internet access, plasma TVs and DVD players. 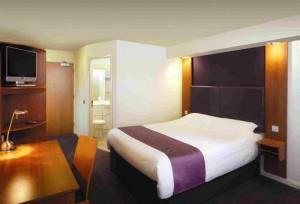 The hotel has been sensitively renovated and stylishly modernised. The sleek, modern rooms blend harmoniously with the building's impressive original structure. Take the elevator to the first floor and you will find 7 luxurious, but understated rooms, each with a unique character all of its own. Every room has a king-size bed and a stunning en suite bathroom, as well as state-of-the art modern technology fit for the future, including free wireless internet access, a plasma flat-screen TV and a DVD player. With just 7 rooms, guests receive attentive, individual service and an exclusive and unique experience. The impressive restaurant and the stylish bar offer superb meals, made with the finest and freshest locally sourced Scottish produce and an interesting continental twist. Set in 300 acres of beautiful university parkland, the calm, tranquil surroundings of Stirling Management Centre are only an hour from Glasgow and Edinburgh. Stirling Management Centre offers a 'home-from-home' environment. It has a bar, restaurant and leisure facilities, including a 50-metre pool, a modern gym and 9-hole golf course within the grounds. There are some shops on site, and the MacRobert Arts Centre has a full programme of films, live theatre, concerts and exhibitions. 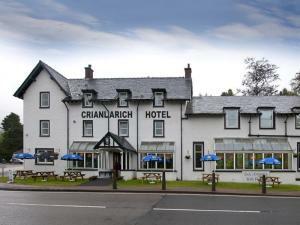 This lovely boutique hotel is centrally located in the picturesque village of Bridge of Allan. It has 15 individually designed bedrooms, and the fine dining restaurant offers a range of Scottish dishes with continental flavours. 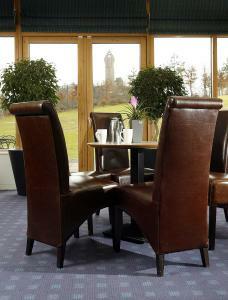 Sights like the Stirling Castle and the Wallace Monument are nearby the hotel. The rooms are comfortable, peaceful, and beautifully decorated. Free internet is available all over the hotel, and parking on-site is free as well.